'Broad Hollow Farm', the estate of Thomas Hitchcock and later his son Tommy Jr., with alterations to a Quaker farmhouse by Richard Morris Hunt c. 1892 in Old Westbury. The house was originally part of the Titus homestead. Thomas Hitchcock Sr. was a 10 goal polo player who helped found the Meadowbrook Polo Club and is also credited with founding steeplechase horse racing (he's also in the Racing Hall of Fame for horse training). His son, Tommy Jr., was also a 10 goal polo player and is considered one of the best polo players in the sport's history. Following his death during WWII, the home housed jockeys who raced at the Roosevelt Raceway, and they also used to property to train. Click HERE for more on 'Broad Hollow Farm'. Click HERE to see 'Broad Hollow Farm' on google earth. Part of the very large stables complex. The polo field and 1 mile racetrack (which nature has been slowly reclaiming). WOW! Who owns this? The place is lovely! Is it all being allowed to collapse? 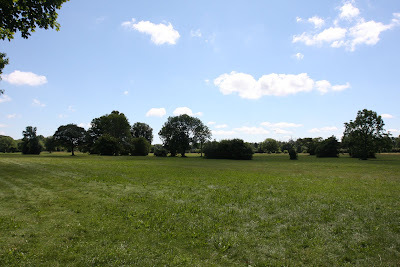 I use to play on this estate as a child and teenager, as my family was good friends with the owners in the 1980's and 1990's. I saw it in magnificent condition, it is sad to see these recent pictures. 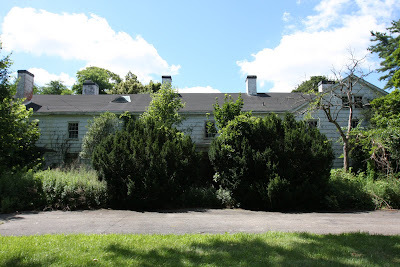 I was always attracted to this estate and its great history. 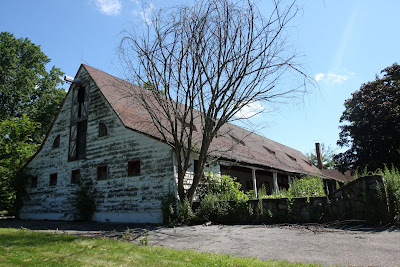 I worked there for about 2 years when it was known as Old Westbury Farm. Dominic owned it then and was managed by Frank. The last year I worked, we were painting the mansion and stables for the arrival of the horses to come back to. But we ended up losing our jobs, because Dominic decided to sell the place. my grandad worked here his entire life, for Thomas Sr, and Jr.. My dad helped keep up the track and clipped hedges for days as a young man. The Hitchocks were very nice, and held my grandad in high regard, I have many old newspaper clippings about them, and a polo mallet or two,.. sorry to see it so run down. I have a four poster bed and a steamer trunk with many tags from overseas trips by the Hitchcocks. My mother also had a very large sisal rug but they left NY and the rug was damaged. I don't exactly know how my family came to own these treasures. I live next door to it and have just learned that the mansion is going to be torn down in the next couple days (Jan 22, 2018). It is very much in a state of disrepair, but it's still so sad to see it go. 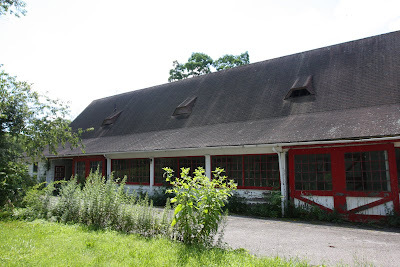 The farm is now the property of the Catholic Diocese of Rockville Centre and will become the Queen of Peace cemetery. I’ve been pass their a few months ago. It’s a shame it’s being torn down. 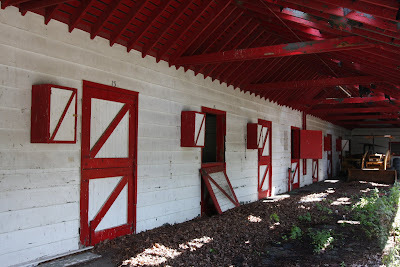 Are the stables being torn down too.? January 26, 2018 --- the house is being torn down right now. I went on a morning run down Hitchcock Lane to find this is halfway torn down. Thank you to the RC Church for tearing this down. Another lost LI relic. This one goes back to the 1700's actually, extremely unique. See all the red and white doors. Me and a few employees painted those. It the last thing we did before Dominick closed the place down.